NEMA workers end strike – Royal Times of Nigeria. 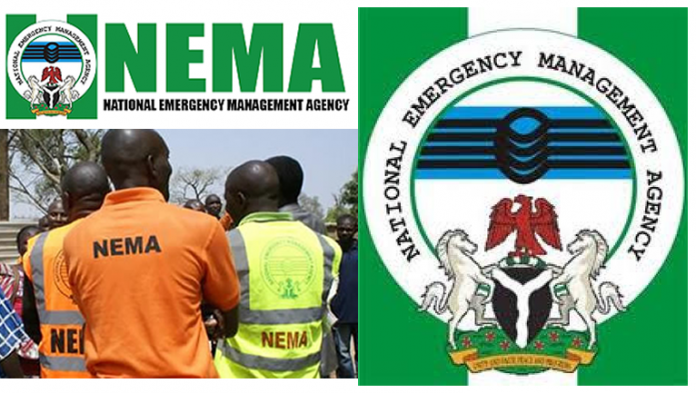 The Management of the National Emergency Management Agency on Friday resolved its labour issues with members of the Association of Senior Civil Servants of Nigeria, NEMA unit, ending its three-day warning strike immediately. The Chairman, National Association of the Senior Civil Servants in Nigeria, NEMA unit, Mr Sa’ad Bello, also confirmed the suspension of the strike, saying the labour union and the management of NEMA reached an agreement after an all-night meeting which was conveyed by Dr Chris Ngige, Minister of Labour and Employment. Bello said that an agreement was signed by all the parties and gave a maximum of two weeks for the management to meet all the workers’ demands as contained in the Sept. 26 agreement. He said, “Among the issues discussed were matters relating to the staff welfare and other areas of misunderstanding which were fully resolved with timeline for implementation to be closely monitored by the Minister. “At the end of the meeting, a joint settlement agreement was signed by both parties with the Permanent Secretary, Federal Ministry of Labour and Employment as witness. According to the statement, those present at the meeting were the Management if NEMA led by Engr. Mustapha Maihaja, Director-General, NEMA and representatives of the national body of the Labour Union represented by the National President of Trade Union Congress. Others included the Secretary-General of the Association of the Senior Staff Association of Nigeria, FCT leaders of NLC and Nigeria Civil Service Union. The meeting was conveyed following the three-day warning strike embarked on by NEMA workers nationwide on Thursday which led to the total shut down of its operations. The workers were agitating for the payment of allowances, renewal of life assurance policy, capacity building for staff, and redeployment of officers, who were unjustly transferred among others.